With thanks to Tori Hancock for this picture. Dear God, We thank you for the gift of the life of this child who is to be baptized. May your blessing of peace and joy be with them and protect them all of their days. We make this prayer in the name of your Son, Jesus. Baptism for babies and children takes place in a service often called a Christening. In this service parents thank God for his gift of life, make a decision to start their child on a journey of faith and godparents promise help and support. The church also promises to welcome the child and to pray for the family. It is a wonderfully happy time for all the family - parents and children and will be a lifelong memory of a very special occasion. 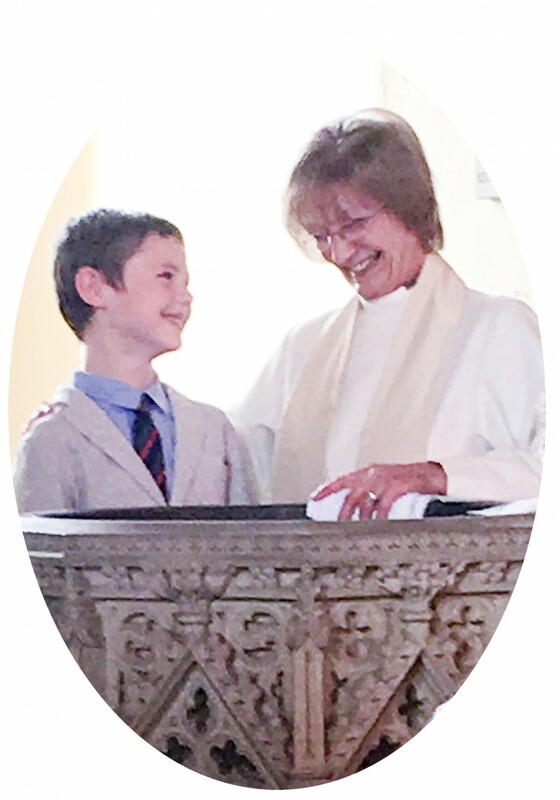 For your child, being baptized at a Christening marks the start of a lifelong journey of faith as part of the local and worldwide Christian family. Baptism is not just for children, though – God’s call is for all, and adults will often want to take the plunge themselves. Adult baptisms are when the adult makes a conscious decision to accept Jesus Christ. It is an important faith decision and needs careful consideration and preparation. Do contact the Rector if you would like to discuss this more. 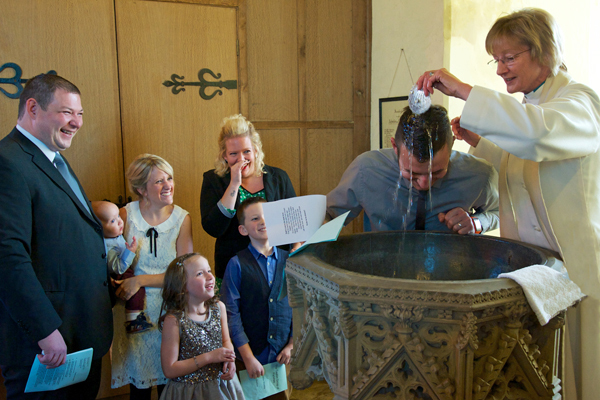 The Church of England also has a dedicated "Christenings"
web site with lots of details about baptisms, Godparents etc. 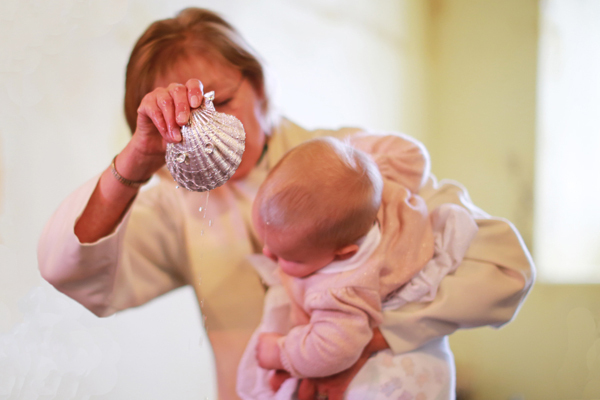 In baptism, it is traditional to use a scallop shell to carry the water. We have a very special silver shell which you can read more about on the Ashwicken Shell page. Some parents might want to celebrate the gift of a child in a different way without the commitment that baptism involves. During the Thanksgiving service parents and families give thanks for the birth or adoption of a child and everyone prays for family life. It can take place in church with the congregation, or with just family and friends gathered. To find out more about a Thanksgiving Service contact the Rector using the "Contact Us" page.